I think I landed in heaven – this is delicious and if you are after a sweet hit got for it ! Anyone who likes nuts and chocolate would never guess this is Vegan. This will be being bought again – but on very rare occasions as it did not pass me by that it is a bit cheeky to think of it as chocolate as the number one ingredients is Sugar ( organic certified mind you ! ), easy to polish the whole bar off 150g = 886 calories – ouch! 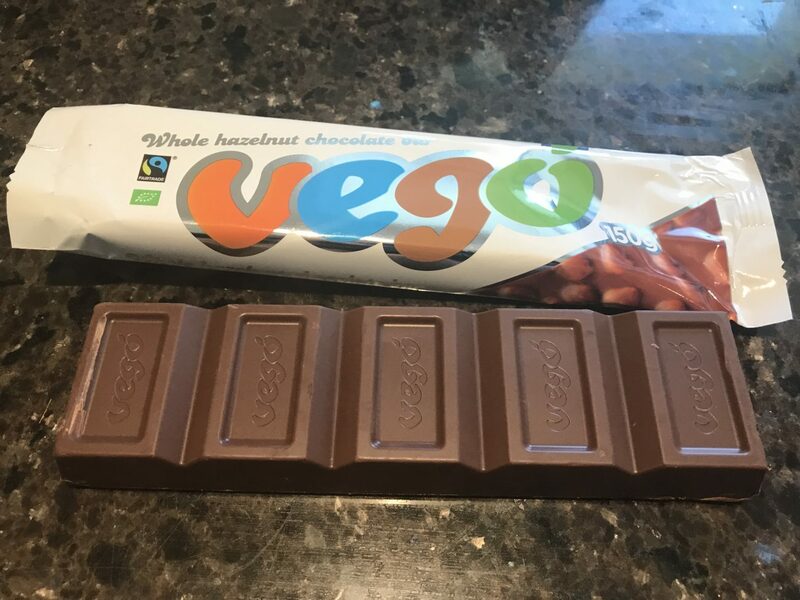 Need to convince your chocoholic friend to go vegan and they wont miss out this one will do the trick ( unless they like real cacao in which case it wont ) , it reminds me a little of galaxy ish kind of style!